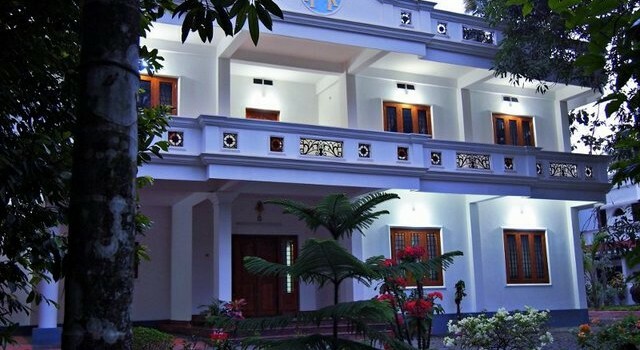 We provide accommodation in a 5000 square feet newly built building in a 3 ½ acre compound with all modern amenities. There are 3 AC rooms and 2 Non-AC rooms, a common well-equipped kitchen and dining space. All boarders can access kitchen and dining area conveniently. The swimming pool is in the courtyard next to the building. Catering service if booked in advance. Solar water heaters and energy saving bulbs are used to conserve power. Though we still use cooking gas, locally available coconut shells and twigs are used for cooking whenever possible. Chemical fertilizers and pesticides are avoided to the extend possible and are replaced by recycled waste converted into manure. We also have a herbal garden with rare medicinal plants. 1.AC and Non AC rooms.